Key Themes In Ancient History aims to provide readable, informed and original studies of various basic topics, designed in the first instance for students and teachers of Classics and Ancient History, but also for those engaged in related disciplines. Each volume is devoted to a general theme in Greek, Roman, or where appropriate, Graeco-Roman history, or to some salient aspect or aspects of it. Besides indicating the state of current research in the relevant area, authors seek to show how the theme is significant for our own as well as ancient culture and society. 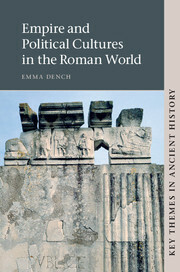 By providing books for courses that are oriented around themes, it is hoped to encourage and stimulate promising new developments in teaching and research in ancient history.